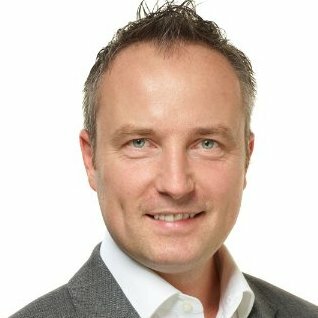 Bernard Marr - author, Top 5 LinkedIn Influencer, advisor to the World Economic Forum, and keynote speaker at People Analytics World 2018 - joins the People Analytics Podcast, a series of lively conversations with leading practitioners, thought leaders and tech pioneers from a variety of backgrounds from around the globe. 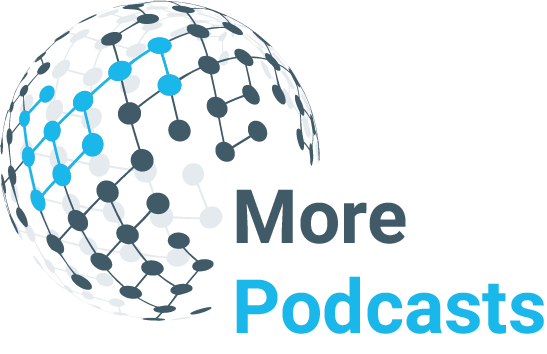 Find more episodes of the Tucana People Analytics Podcast - including live interviews recorded at People Analytics World 2017 in London last April. David Green speaks with Bernard Marr about the future directions in which People Analytics will take the HR profession. Bernard Marr will be launching his latest book "Data-Driven HR" at the People Analytics World conference on 11-12 April. As part of his research, as well as his consulting work, he has been exploring areas such as Blockchain, Machine Learning and AI, and Organisational Network Analysis in a practical sense of how they are applied in real organisations. The insights that these concepts and tools make possible can transform the operational capacity of HR - along with all other functions that embrace them - to a level that is more reactive, predictive, and intelligent in its actions. He talks with David Green about the way in which HR Analytics is changing the way the rest of business sees HR, and how the massive potential of this new technology is demanding a transformation in the mindset and operational structures of the People function of organisations both large and small. What people can expect from his keynote at People Analytics World 2018. Bernard Marr is an internationally best-selling business author, keynote speaker and strategic advisor to companies and governments. 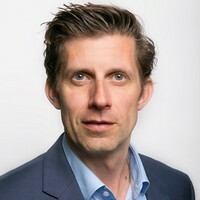 He is one of the world's most highly respected experts when it comes to business performance, digital transformation and the intelligent use of data in business. Bernard is a regular contributor to the World Economic Forum and writes weekly columns for Forbes, Huffington Post and LinkedIn where his articles are read by millions. His expert comments also regularly feature on TV and radio (e.g. BBC News, Sky News and BBC World) as well as in high-profile publications such as The Times, The Guardian, The Financial Times, the CFO Magazine and the Wall Street Journal. Bernard is a major social media influencer with 1.2 million followers on LinkedIn, the world’s leading professional network, as well as a strong presence on Twitter, Facebook and SlideShare. In fact, Bernard is recognised by LinkedIn as one of the top 5 business influencers in the world. He has written 15 books and hundreds of high profile reports and articles, including the international best-sellers ‘Data Strategy’, ‘Big Data in Practice’, 'Big Data', 'Key Business Analytics', ‘Key Performance Indicators’, 'The Intelligent Company’, ‘Managing and Delivering Performance’ and ‘Strategic Performance Management’. His books have been translated into over 15 languages and have earned numerous Amazon No 1 bestselling positions, the CMI Management Book of the Year award and the WHSmith best business book award. Bernard has worked with and advised many of the world's best-known organisations including Accenture, Astra Zeneca, Bank of England, Barclays, BP, Cisco, DHL, Fujitsu, Gartner, HSBC, IBM, Jaguar Land Rover, Mars, Ministry of Defence, Microsoft, NATO, The Home Office, NHS, Oracle, Orange, Tetley, T-Mobile, Toyota, Royal Air Force, SAP, Shell, the United Nations, Walgreens Alliance Boots, Walmart, among many others. David Green is a globally recognised and respected influencer, speaker and writer on People Analytics, data-driven HR and the future of work. He was recognised as Best Writer at the 2015 HR Tech Writers’ Awards, as well as being named one of LinkedIn’s 10 Power Profiles for Human Resources in the UK based on his influence on the site in 2015. David regularly chairs and speaks at industry events, and in the last 12 months has spoken in 30+ cities around the globe including Sydney, London, Singapore, New York, San Francisco, Moscow, Mumbai, Amsterdam, Oslo and Philadelphia. He has been co-chair of Tucana’s flagship People Analytics World Conference in London for the last three years. David’s role as Global Director, People Analytics Solutions at IBM enables him to help clients apply an analytical, insight led and business outcome focused approach to their talent strategies and people decisions. David is based in London, but his remit covers the globe. David can be found on Twitter @david_green_uk and LinkedIn as well as via his regular blogs on LinkedIn Pulse and ERE.